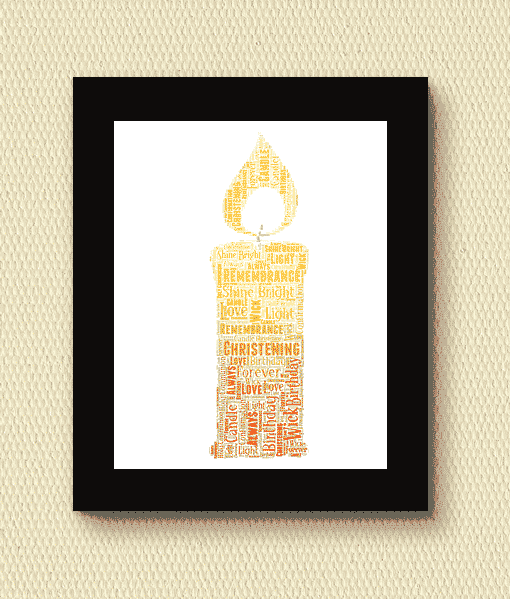 This print can be customised to make a lovely personalised gift or keepsake. 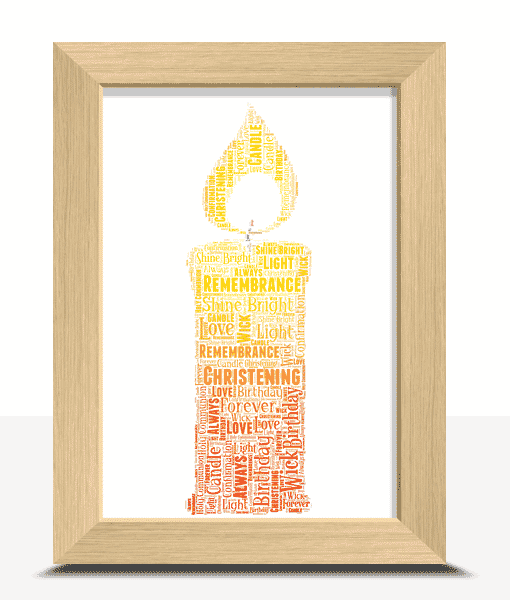 We highly recommend adding places, dates, names or venues which are meaningful to the person receiving the gift or to suit the occasion to make it extra special. 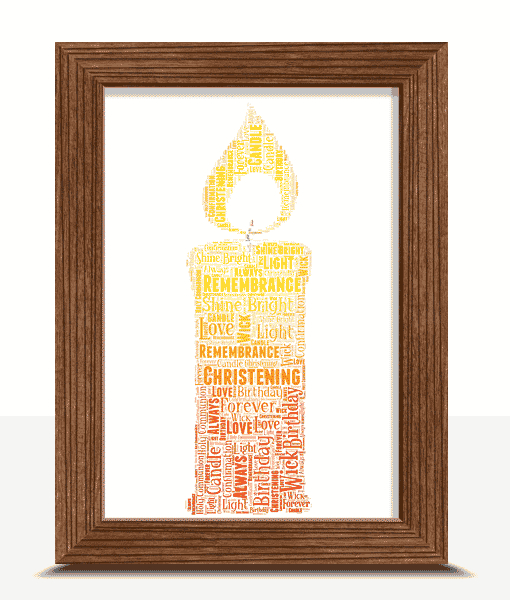 Example: Peace, Love, Christening, Remembrance, Hope, Light, Always, Birthday, Memories, Everlasting. 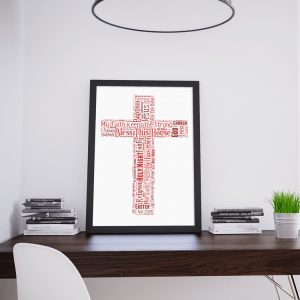 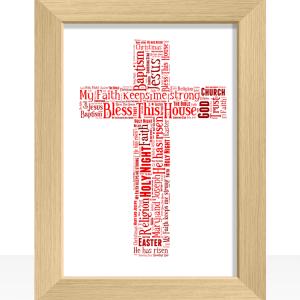 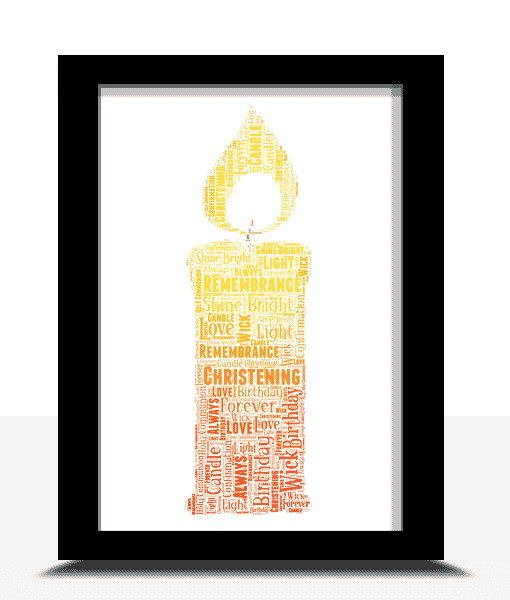 This cross shape word art print can be personalised to create an ideal gift for a Christening, Holy Communion or other religious event. 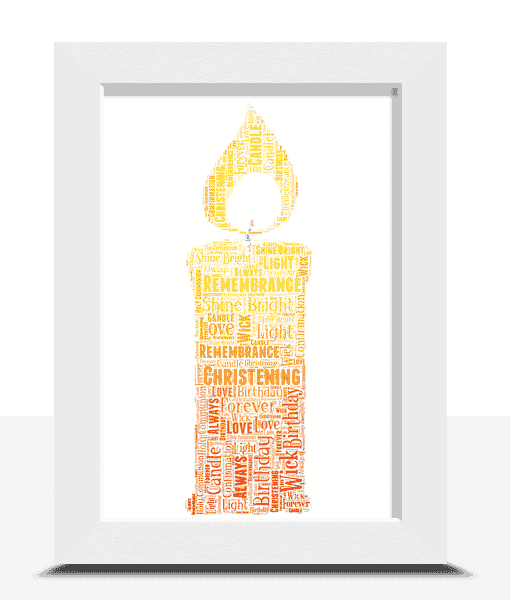 Add all your own words including dates, names & places to create something truly special.